‘The Greatest Showman’ and ‘Wolverine’ actor Hugh Jackman has landed in Dubai ahead of the Global Teacher Prize gala, and he’s already made a new friend. 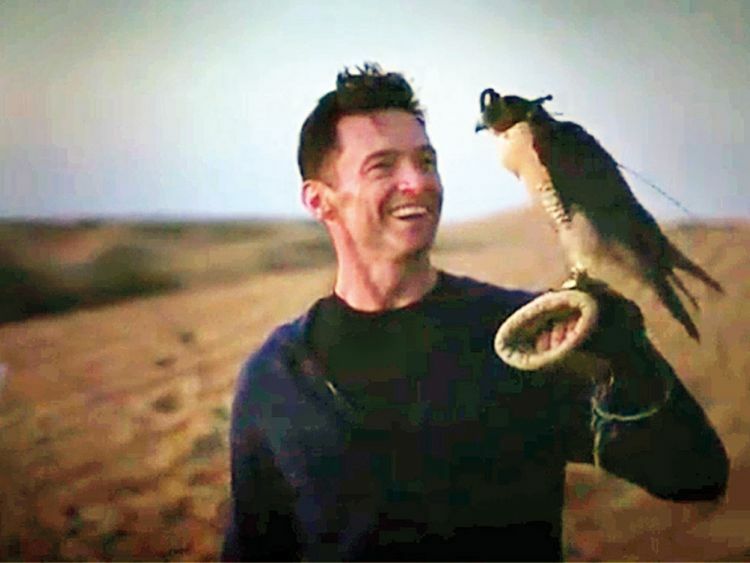 Jackman posted a dreamy night-time video from the desert with a falcon perched on his arm, apparently named Summer. The 50-year-old Australian looked to be in good spirits as he called the bird “gorgeous” and mimicked her as she shook her beak. Last month, Jackman announced the top 10 finalists of the 2019 Global Teacher Prize in Dubai. The event awards one outstanding educator from around the world with $1 million (Dh3.67 million) every year. “When I was a kid, there were lots of superheroes that I wanted to be. But I can tell you right now, from where I stand, with all my experience, the real superheroes are teachers — they’re the ones that change the world,” he said, in a video announcement. The actor taught PE (physical education) in high school and went viral years ago for recognising a former student-turned-interviewer on the red carpet. The winner of the Global Teacher Prize will be announced at a gala at Atlantis, The Palm on March 24. The event welcomed crossover Bollywood actress Priyanka Chopra last year.